Thank you for your interest in helping others in your community! 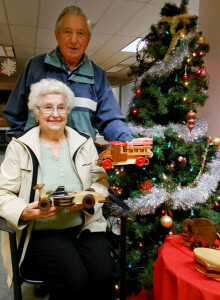 Volunteers are the heart of the Surrey Christmas Bureau. We can always use help, especially as the holidays approach. To get started right away, complete the online form below. Or if you prefer to mail or fax your information, complete this form and email, mail or fax back to us. Can’t volunteer? Consider holding a one-time fundraising event or making a donation. You may select as many options as you like, or check "Wherever I'm needed" if you prefer. Have you volunteered with the Surrey Christmas Bureau before? Is there anything else about yourself that relates to volunteering with us (e.g. have you worked with children, seniors, low-income families, special needs, etc.)? During the season, important updates and upcoming volunteer opportunities are shared via our Volunteer Mailing List.